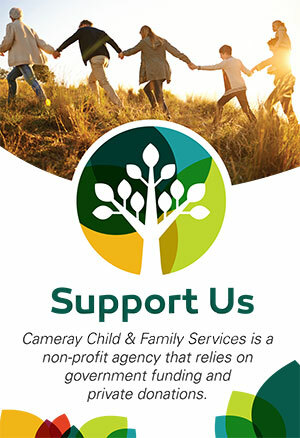 Cameray Child & Family Services is governed by a volunteer Board of Directors, made up of interested people from the community with various backgrounds and areas of expertise. The Board of Directors is responsible for managing the affairs of the Society, and is accountable for the agency’s governance, policy development, strategic planning, and financial management. Don has been on the Board since 2008. He is a Registered Clinical Counsellor and Parenting Coordinator who has been counselling professionally since 2004. 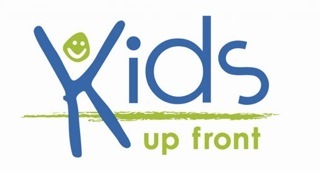 Working with children, families and individuals on a wide variety of issues, he combines parenting support and education with his extensive experience to help his clients reach the balance in their lives they seek. His background as a social worker in Northern BC, as an elementary and secondary school teacher and Principal in Burnaby, as an instructor/ coordinator in the Native Indian Teacher Education program at U.B.C., as a sessional instructor at City University in the M.Ed. counselling program, provides Don with a comprehensive resource of experience from which to draw. After retiring from the Burnaby School District, Don came to begin his counselling career at Cameray in 2005 and worked as a Child and Family Counsellor for 2.5 years. He has also facilitated Neufeld attachment training with the Cameray counselling staff since moving on to private practice. Nancy has been on the Board since 1982. She taught psychology at Douglas College until retiring in 2014. Previously, she worked as a clinical psychologist in a variety of settings, the last of which was Maple Ridge Mental Health Centre where she was the Child and Youth Coordinator and Acting Director. There Nancy worked with other community services providers to identify needs and create solutions. Nancy became involved with Cameray in 1982, when her friend who was on the Board invited Nancy to attend an AGM. She was elected to the Board that evening. As a member of the personnel committee, Nancy participated in selection interviews for many years. She has also served as Vice-President for many terms. Nancy notes that she is honoured to have been a small but supportive part of Cameray’s excellent work. She appreciates everyone’s commitment to our shared goals and mission. Brian has been on the Board since 1984. He recently retired from the Burnaby School District as the Principal of Cascade Heights Elementary School. When Brian was a Community School Coordinator in 1983, he was asked to sit on the Board of Cameray, and he happily agreed. Brian is a Burnaby resident who is married with two grown children, and is a proud grandparent of Delainey. Nazarina has been on the Board since 2014. She is a licensed mortgage broker and has been working in the Finance industry for over 33 years. With an extensive financial and marketing background and a commitment to providing excellent client service, Nazarina extends these skills to her role at Cameray. She has operated her own business for over 15 years and as such, understands what it means to work with a limited budget and ensure expenditures bring maximized benefits. Nazarina has been involved in many fundraising initiatives over the years including GGMS (defibrillators) and various youth sports and school programs in Burnaby. Nazarina is married and has three adult children who have all gone through the Burnaby school system. Her family has been a part of many clubs through Burnaby schools and other organizations that the children have been involved in. As a parent and a Burnaby resident for 32 years, Nazarina is happy to assist a non-profit society focused on youth and families. Burnaby is continually growing and Nazarina believes the work that Cameray does to support our young residents and their families is extremely important to ensure they have a positive influence in our community. Bruce has been on the Board since 1986. He is a retired psychology instructor. Prior to a serious stroke in 2007, Bruce taught at Douglas College for approximately 25 years. Bruce’s areas of specialization are social and cognitive psychology and educational technology. He served on the faculty association’s executive as an elected Vice President and was actively involved in contract negotiations. Bruce was invited to become a Board member by his partner, Nancy Maloney. He served as President of the Board for many years, and he worked with the admin staff in building Cameray’s technology capacity. Sue has been on the Board since 2017. She is a passionate educator whose work honours and nurtures the diversity of relationships and community, enabling others to come together to learn and thrive. Sue has worked at Simon Fraser University as a faculty associate and coordinator of the Professional Development Program and as an instructor of graduate diploma programs for practicing K to 12 teachers. She completed both her MA and PHD at Simon Fraser University. Sue continues her work as instructor in education and leadership at both the undergraduate and graduate level with Simon Fraser and Vancouver Island and City Universities. Alexina has been on the Board since 2019. She is a counselling student at Adler University and the Executive Assistant at the BC Psychological Association. Alexina brings skills and experience in event planning and fundraising. She was inspired to join the Cameray Board due to her enjoyment in planning events and her passion towards mental health services for children.